The picturesque Great Blue Hole of Belize, with its 984 ft diameter and 407 ft depth, lies in the center of the Lighthouse Reef atoll, which is around 43 miles from the Central American country’s mainland. 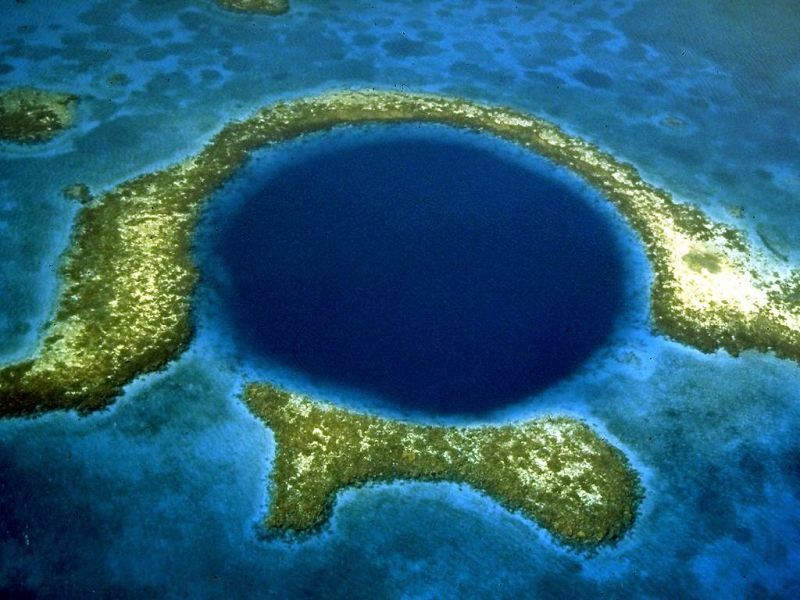 But beyond its glorious visual ambit, the submarine sinkhole most probably contains crucial clues that shed some light into the decline of the renowned Mayan civilization. In that regard, researchers have found minerals inside the underwater cave that suggest the effect of drought (between 800 AD to 900 AD) might have primarily led to the political and economic fragmentation of the Mayans. The Mayans reached their cultural zenith between the years of 300 AD to 700 AD, and it is this period that brought forth the flurry of achievements from the Central American civilization, ranging from pyramid architecture, astronomical calculations to the usually-misunderstood calendar system. Archaeological evidences have shown that after this epoch, the societal endeavors (including architectural projects) went through a stagnation phase, while the faction as a whole broke down into chaotic sub-groups that frequently warred with each other. Historians in the 20th century have speculated and put forth their numerous hypotheses that might have pertained to this nadir period. The theories included various scenarios like deforestation to even loss of Mayan favorite food stock – Tikal deer. However, it was in 1995 when experts seriously considered the situation of a drought that could have potentially hampered the growth of the Mayan civilization. Some evidences of such a natural calamity was found in 2012, when scientists analyzed a 2,000-year-old stalagmite inside a cave in Belize. 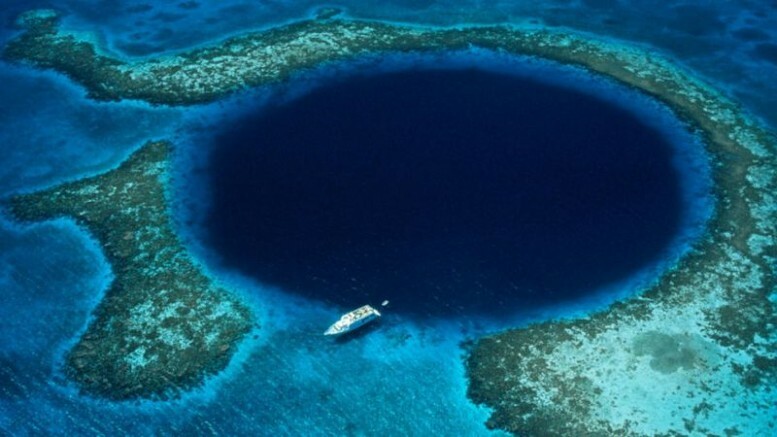 Now, fast forwarding to 2014, a new research team studied the sedimentation layers at the bottom of the Great Blue Hole and its surrounding lagoons. These sediments, according to the scientists, allude to a historical climatic representation – with muddy layers stacked atop each other, derived from the excess water accumulated along the top surface during the ‘historical’ rainy seasons. The researchers mainly looked out for the varying ratios of titanium to aluminum in these sediments, since titanium tends to get washed away from volcanic rocks during heavy rains. In other words, a low ratio of titanium to aluminum corresponds to lesser rainfall. To that end, the team found out that the 200-year timeline (starting from 800 AD) had far lesser cyclonic activities – that might have led to extended periods of drought in the region. The Mayan people balefully affected by this natural scope, moved further north to establish their capital at Chichen Itza, in Mexico. But unfortunately, in the ensuing period after 1000 AD, another major drought struck this geographical area (during the Little Ice Age), which ultimately led to the disintegration of the Mayans.